WA5 aims to ensure that the principles of sustainability guide the market uptake and implementation of DEMEAU’s water technologies targeting micropollutants. One year into the project, WA5 has achieved the first milestones and identified an initial set of case studies to be carried out in close collaboration with other work areas of the DEMEAU project. The case studies build the basis of WA5’s sustainability analysis and the resulting proposal of routes to foster market uptake. Sustainability assessment will be conducted by environmental Life Cycle Assessment (LCA), economic Life Cycle Costing (LCC) and social stakeholders and barriers analysis. In milestone 5.1 relevant application areas, and in milestone 5.2 involved stakeholders and barriers for market uptake for emerging water technologies have been identified, building the cornerstones for the upcoming activities. DEMEAU WA5 will propose technology-specific routes to market uptake for each of the DEMEAU technologies based on a thorough sustainability and barrier analysis. Case studies that portray the different technologies form the basis for the sustainability analysis and range from pilot scale to full scale implementation. Eventually, WA5 will design unique selling propositions as the result of the analysis. The analytical framework is built upon the three generally accepted pillars of sustainability - environment, economy and society – which is reflected in three different types of analysis. 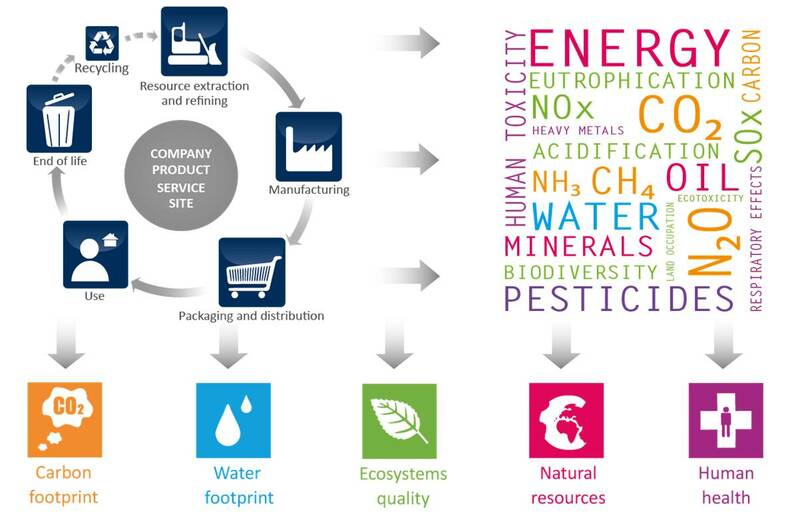 Environmental Life Cycle Analysis (LCA) quantifies potential environmental impacts and benefits of DEMEAU technologies. It analyses the entire life cycle on the basis of process data from case studies and compares these to existing reference technologies (whenever applicable). Key feature of the LCA in DEMEAU is the emphasis of portraying the potential of each technology to remove micropollutants and thus to remove ecotoxicological impacts. The LCA includes for this purpose additional ‘characterization factors’ that are being developed for investigated micropollutants. 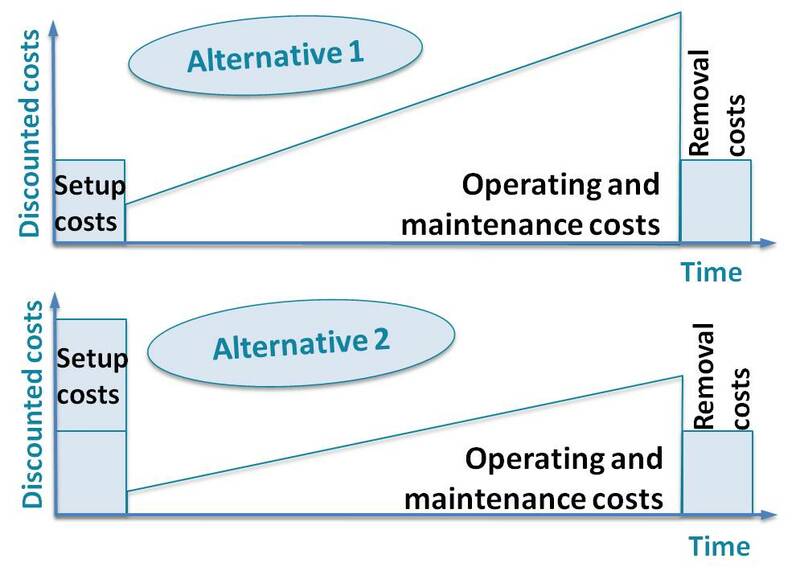 Economic Life Cycle Costing (LCC) assesses all costs related to a product or service over the entire life cycle, from production over use until disposal. This is especially relevant for technologies that have long life times and/or high maintenance, use or disposal costs which apply to many water technologies. Whereas LCA covers the ecological aspects of sustainability, LCC can serve to address the economic dimension of sustainability and is an important instrument to support an integrative decision making at utility level. The social dimension focuses on enabling and constraining factors, i.e. drivers and barriers, for the implementation of technologies derived from interviews and expert meetings with stakeholders such as utility operators and technology providers. 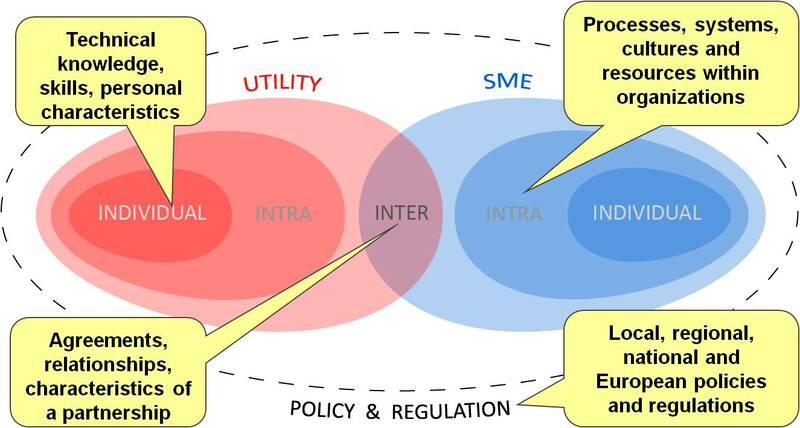 The analysis integrates Individual (utilities), intra-and inter-organizational, policy, and regulatory levels (see image above). To foster the implementation, an analysis of application areas, technology relevant stakeholders and barriers will be conducted. A first overview is presented in first milestone report delivered in September 2013. 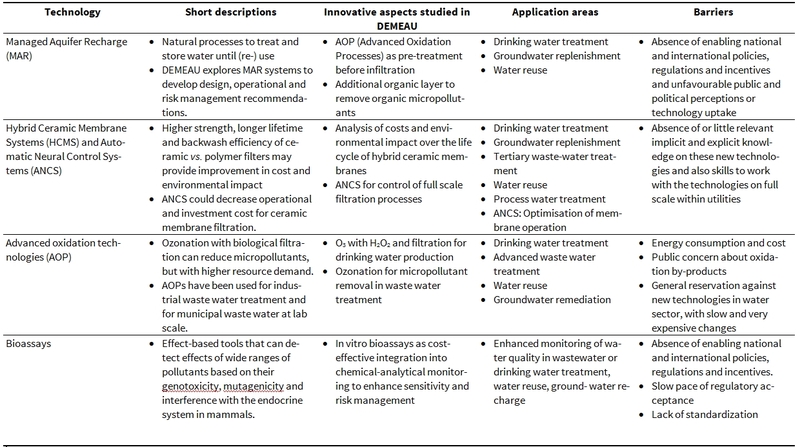 Emerging water technologies may prove effective and efficient for different application areas, potentially broadening the options for the water industry beyond the specific application within respective case studies (e.g. drinking water treatment, wastewater treatment). All potentially relevant application areas for the investigated technologies have been collected in a short survey from the respective work area leaders, giving a first indication of possible applications and market potential. In the analysis of barriers to implementation and uptake of innovative technologies such as the DEMEAU cases, various categories of stakeholders have to be considered. According to Wejnert (2002), actors that influence the probability of adoption of an innovation (developers, end users, technology promoters, etc.) and actors influencing the adoption environment such as the public opinion, current trends, policies and regulations (regulators, NGO’s, etc.) need to be distinguished and considered. These general stakeholder groups were defined for each DEMEAU technology. In a next step specific organisations that fulfil these roles for each technology and case study will be analysed. DEMEAU aim is to foster the uptake an implementation of the chosen technologies. Various categories of barriers to technology uptake and implementation can be identified. These include barriers on the individual level, barriers on the intra-organisational level, barriers on the inter-organisational level, and barriers on the (contextual) regulatory level. For each DEMEAU technology a preliminary scan was done to identify some of the barriers that are encountered within these categories. This information serves as the basis for further analysis, in which barriers on all four levels will be identified by means of interviews and expert meetings with the stakeholders. These insights in application areas, stakeholders and barriers vary depending on the technology. The milestones therefore portray those elements for the four DEMEAU technologies separately. Table 1 provides an initial overview of the results from the first milestones of work area 5. Table: Brief description of the four DEMEAU technology groups, innovative aspects studied in DEMEAU, relevant application areas and initially identified main barriers for implementation.